Once you have watched the video, request a free consultation. We guarantee you’ll see leadership through new eyes. While most 360 degree assessments tell you only what is or is not contributing to a leader’s effectiveness, the Leadership Circle Profile also tells you “ why” this is so. It gives the leader causational insight into what is happening beneath the surface. This powerful difference puts The Leadership Circle Profile in a class of its own. 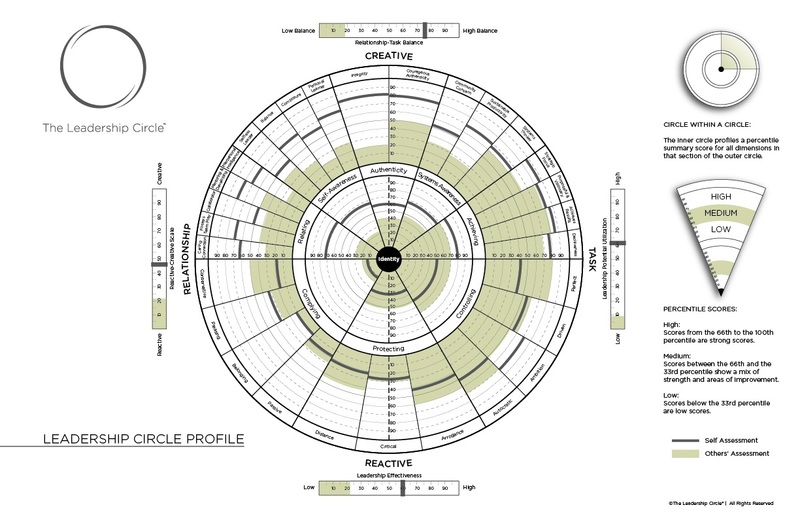 The Leadership Circle Profile is the only 360 degree profile that measures both competency and underlying assumptions and it does so in two primary leadership domains: Creative Competencies and Reactive Tendencies.